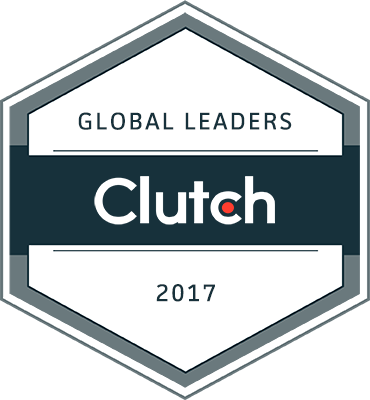 Evince Development was awarded a spot as a Clutch Global Leader –a list of the 475+ most highly reviewed companies. This week, Clutch recognized Evince Development. Houston, a TX-based company with a headquarters in Ahmedabad, Gujarat, as a Global Development Leader in their annual Global Leaders List 2017. The annual report includes 475+ companies across six industries, and each company is evaluated based on client reviews, market presence, and ability to deliver high-quality services. This honor features the leading, most highly-recommended firms from around the world. “As the year comes to a close, we are very pleased to showcase our recognition on the Clutch Global Leaders List, highlighting the 475+ most highly reviewed companies from around the world. With a clear destination in mind, we could build a strategy to win the race to get there with a deliberate strategy. Our commitments, our Ethics, and our strong relationship made us not sustainable but growthful company again. We believe emotionally engaged employees and client satisfaction are critical to long-term success.” said Evince Development Founder and CEO Maulik Pandya. Evince Development represents the 22% & 12% of companies from Web & Software Development and IT Services who made the list, respectively. Evince Development is a full-stack technology services company with the team of passionate hand-picked professionals. We are helping organizations in developing innovation, achieving sustainable business growth and reliable IT Solution through our domain expertise in next-generation cloud, software, e-commerce and Mobile solutions. Our core offering is IT consultancy & development, Enterprise IT solution, and UI/UX design. Evince is committed to delivering technology to customers around the globe by maintaining transparency, integrity, and ethics. We drive to achieve client satisfaction through high quality of service with Competitive cost. We are one of the fastest growing IT solution and development providing company. Next articleHow to Find a Reliable IT Partner to Accelerate Your Digital Transformation Success?